Editors Note: There are two pictures associated with this release. 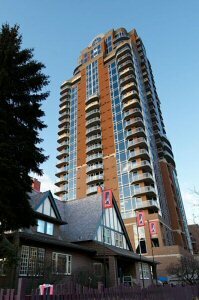 Heralding a new dawn on the Calgary real estate scene, The Montana opens as the city's first significant post-recessionary condominium development. The Montana was built during trying economic times. However, ProCura owner and CEO George Schluessel pushed through The Montana's completion with an uncompromising dedication to detail, building with the finest materials in the belief that great buildings are timeless. "We wanted to create a real legacy with The Montana-something that would last and that Calgarians could point to with pride," said Schluessel. In the spirit of both creating and preserving legacies, ProCura has announced in conjunction with The Montana's grand opening that it will donate $1,000 for each of the remaining units it sells to the Famous 5 Foundation a non-profit charitable organization dedicated to preserving the legacy of famed suffragists, legislators and women's rights advocates: Nellie McClung, Emily Murphy, Louise McKinney, Henrietta Muir Edwards and Irene Parlby. These five women were lifelong champions of the rights of women and children across Canada, and are perhaps best known for giving women the opportunity to vote by winning the 1929 "Persons" Case. Gillian Lawrence, Chair of the Board for the Famous 5 Foundation welcomes this significant gift as an opportunity for the group to extend its outreach to the next generation of leaders through strong networking and education programs. "We are delighted with this donation. It opens up a number of opportunities for us to continue to communicate and build upon the legacy that was created by our five famous Canadian women." said Ms. Lawrence. Sherry Schluessel heads up ProCura's giving program; she says that this initiative is just one part of a larger vision of philanthropy and community giving. ProCura also maintains the historic Nellie McClung house located next door to the Montana and is looking for investors to help turn the property into a community space for women's organizations, as well as converting part of the home into a museum dedicated to the Famous Five. Ms. Schluessel particularly invites women leaders and investors to step forward. "It would be wonderful if we could get a modern-day Famous Five to become a moving force in promoting and inspiring female leadership across Canada," said Ms. Schluessel. The 27-floor tower establishes a new standard for luxury residence living. 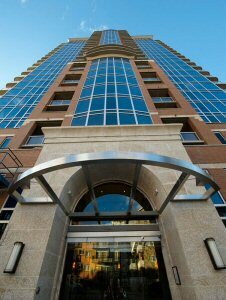 The Montana features stylish refinement-including a spaciously elegant grand lobby, 5-star concierge service and a distinctive illuminated tower peak certain to become a hallmark of the Calgary skyline. The Building also possesses revolutionary engineering features such as 9-inch concrete floors for added stability, and Visionwall(R) floor-to-ceiling windows that combine superior soundproofing and energy efficiency. Located in the city's Uptown 17 district, the Montana is steps away from the city's finest shopping, dining and entertainment, and mere minutes from downtown. With general consensus among real estate observers that 2010 will mark an upswing in Calgary's real estate market, The Montana represents a unique opportunity to make a quality investment in a premium luxury residence while helping to preserve an important piece of Canadian history. Two spectacular new show suites are now open for public viewing. 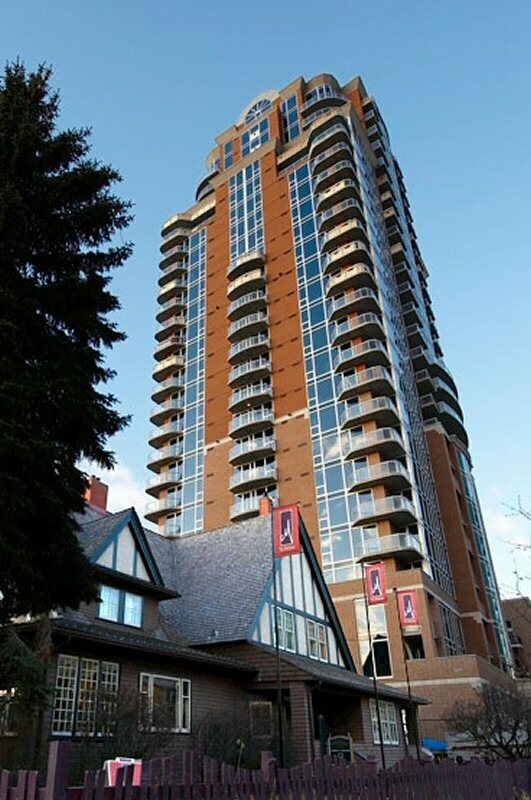 ProCura was founded in 1979 by George Schluessel; the developer has been the force behind landmark and award-winning projects such as Calgary's Emerald Stone and Residences of Mount Royal, Kelowna's award-winning Casa Bella, Edmonton's Park Square, Century Park and the Intact Insurance "Leed CS Gold" building. ProCura is committed to consistently provide the highest level of quality in the development, property management and owner representation to all its projects, thereby maximizing returns to investors and stakeholders.